Just the corner from the Highline and the Whitney museum is this bright and airy spot perfect for brunch! The best spot for Instagram photos is in the front along the marble counter framed by plants and gold edged windows. The tables also have a highlight of mint green that perfectly match the coffee cups. The egg sandwiches which come with aioli on a brioche roll, are amazing. The most photogenic one is the Good Morning Sunshine sandwich which includes a sunny egg, pulled braised bacon, avocado, tomato & rosemary aioli on brioche. The pancakes are another must try dish. For an amazing gluten free option try the Buckwheat Pancakes with wildflower honey, orange and turmeric butter. The Buttermilk Pancakes are another great choice as they are sweet and light. Top them with bananas and granola for a delicious crunch of oats and pistachios! Or for a colorful fruit option top them with fresh berries that taste like they came right off the farm. The orange and grapefruit juices or the carbonated watermelon fresca are some healthy drink options. 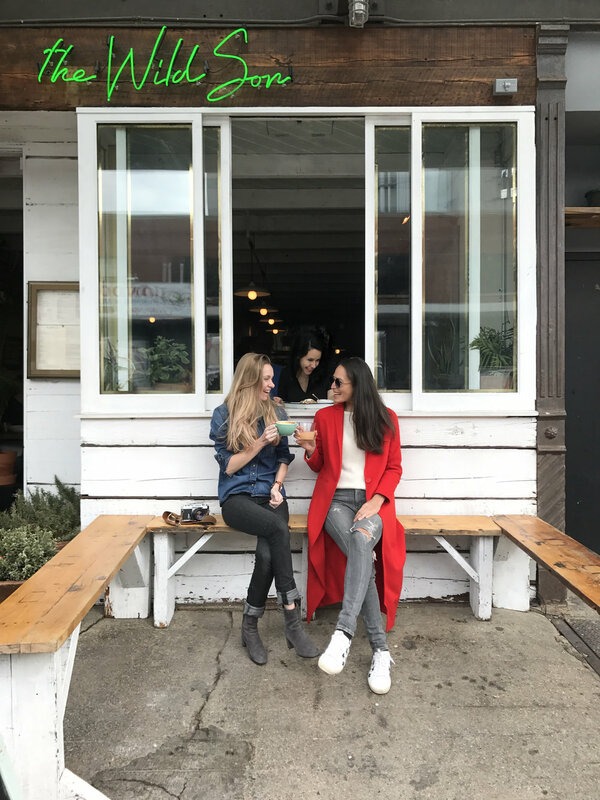 Arrive at 10am before the line forms for brunch or head over at 3pm for a late lunch or early dinner before going out around the Meatpacking District.